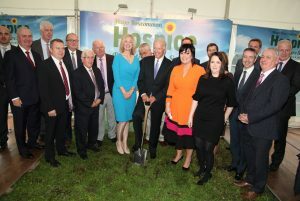 September 12th 2017 was a momentous occasion for the Foundation, when American Vice President Joe Biden was our honourable guest to do turn the sod of the Mayo Hospice. The Hospice will be located in Knockaphunta in Castlebar and more details about the hospice as well as a visual of what it will look like can been viewed here. Here are some pictures from the day. The rest of the pictures can be viewed on our gallery. 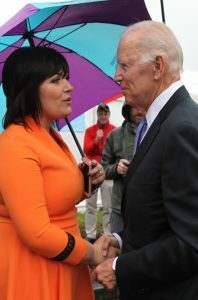 Joe’s Backing Mayo on Sunday. 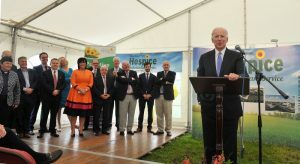 US Vice President Joe Biden was in Castlebar to officially turn the sod on the new Mayo Hospice facility.